Recently Deloitte released their “CFO Signals” report for 1st Quarter 2012. Pricing trends are again a top concern but declined from 52% last quarter to 37% this quarter. They are the top concern within Retail/Wholesale and Services and a top-two concern in Financial Services. Major (positive) reversal in optimism: After two quarters in negative territory, net optimism rebounded sharply to +48 percentage points this quarter. Nearly two thirds of CFO say they are more optimistic this quarter than they were last quarter, with just 15% more pessimistic (22% report no change). This entry was posted in Business and tagged Business on March 30, 2012 by Ted Kavadas. 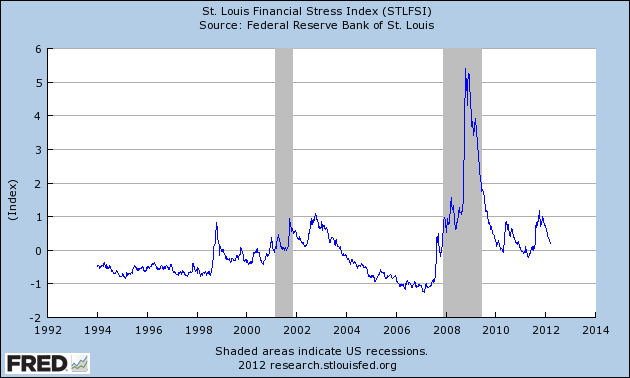 This entry was posted in Uncategorized and tagged economic indicators on March 29, 2012 by Ted Kavadas. This entry was posted in Investor, Stock Market and tagged S&P500, Shanghai Stock Exchange Composite Index, Stock Market on March 28, 2012 by Ted Kavadas. 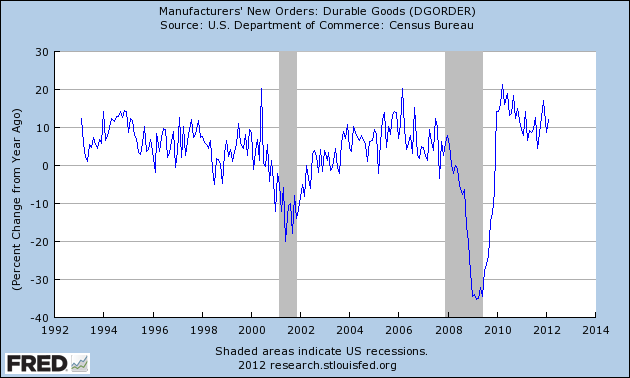 This entry was posted in Economic Forecasts and tagged ECRI on March 25, 2012 by Ted Kavadas. On March 20, the Zillow March 2012 Home Price Expectations Survey results were released. This survey is done on a quarterly basis. As one can see from the above chart, the average expectation is that the residential real estate market, as depicted by the Case-Shiller US National Home Price Index (NSA), will slowly climb from 2013 through 2016. The detail of the March 2012 Home Price Expectations Survey (pdf) is interesting. Of the 104 survey respondents, 8 (of the displayed responses) forecast a cumulative price decrease through 2016; and of those 8, only 1 (Gary Shilling) foresees a double-digit percentage cumulative price drop, at 16.98%. The Median Cumulative Home Price Appreciation for years 2012-2016 is seen as -1.00%, .73%, 3.4%, 6.57%, and 10.46%, respectively. This entry was posted in Real Estate and tagged Real Estate, real estate bubble, residential real estate, Zillow Home Price Expectations Survey on March 23, 2012 by Ted Kavadas. 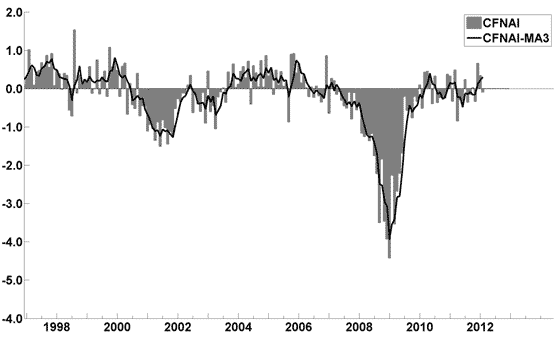 This entry was posted in Economic Forecasts and tagged economic forecasting, economic indicators, STLFSI on March 23, 2012 by Ted Kavadas. On March 7 the March Duke/CFO Magazine Global Business Outlook Survey (pdf) was released. 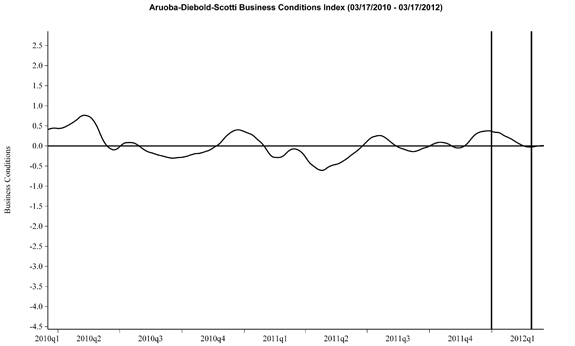 It contains a variety of statistics regarding how CFOs view business and economic conditions. Earnings and capital spending are both expected to rise more than 7 percent. The employment outlook has brightened, with U.S. finance executives expecting to increase their number of domestic full-time employees by 2.1 percent. The U.S. CFO Optimism Index, in which CFOs rate their confidence in the economy on a scale of 0 to 100, increased from 53 last quarter to 59 this quarter, equaling the index’s long-term average. CFOs cite weak consumer demand, intense pressure on profit margins, and the difficulty in attracting and retaining qualified employees among the top concerns for their companies. This entry was posted in Business, Economic Forecasts and tagged Business, CFO and CEO Confidence, Economic Forecasts on March 22, 2012 by Ted Kavadas. 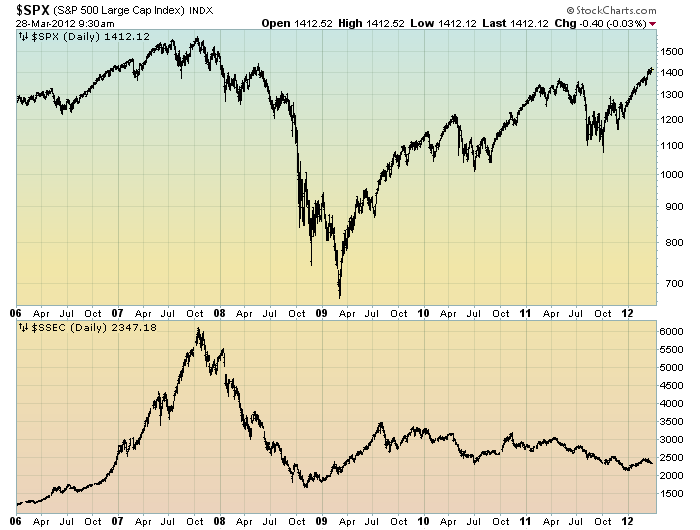 On October 17, 2011 I wrote a post titled “Danger Signs In The Stock Market, Financial System And Economy.” This post is a brief eighth update to that post. My overall analysis indicates a continuing elevated and growing level of danger which contains many worldwide and U.S.-specific “stresses” of a very complex nature. I have written numerous posts of some of what I consider both ongoing and recent “negative developments.” These developments, as well as other highly problematic conditions, have presented a highly perilous economic environment that endangers the overall financial system. 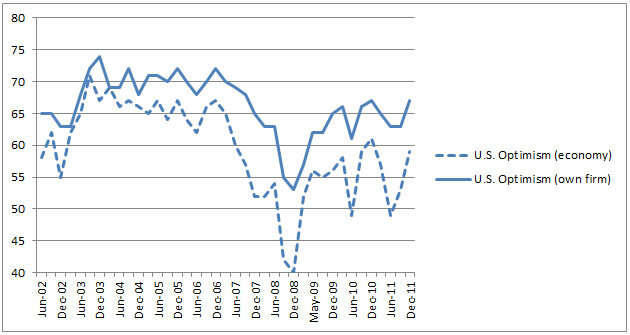 While many undoubtedly take comfort in the strong, remarkable performance of the stock market (as well as other asset classes), and recent various indications of increasing economic activity, my analysis continues to indicate that there are many reasons for tremendous concern, as seen in many fundamental economic, financial-market, and proprietary measures. Many of these measures and disconcerting trends lack recognition and are not necessarily evident in “headline” statistics. This entry was posted in Investor, Stock Market and tagged building financial danger, S&P500, Stock Market, stock market crash on March 21, 2012 by Ted Kavadas. The commentary largely focuses on the rising prices of oil and gasoline and the economists’ views on how they will impact the economy. Also, as seen in the Q&A section (in the spreadsheet), the economists put the probability of a U.S. recession in the next 12 months at 16%. 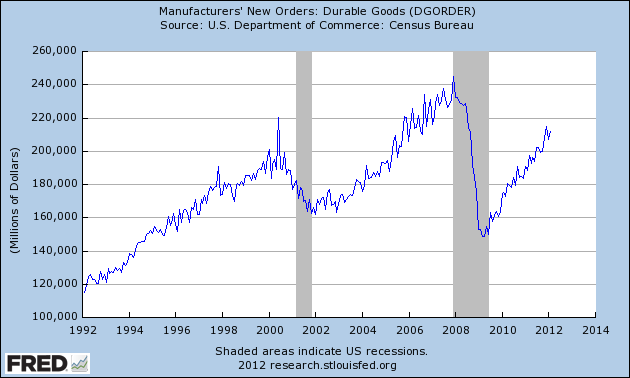 This entry was posted in Economic Forecasts and tagged Economic Forecasts on March 20, 2012 by Ted Kavadas.